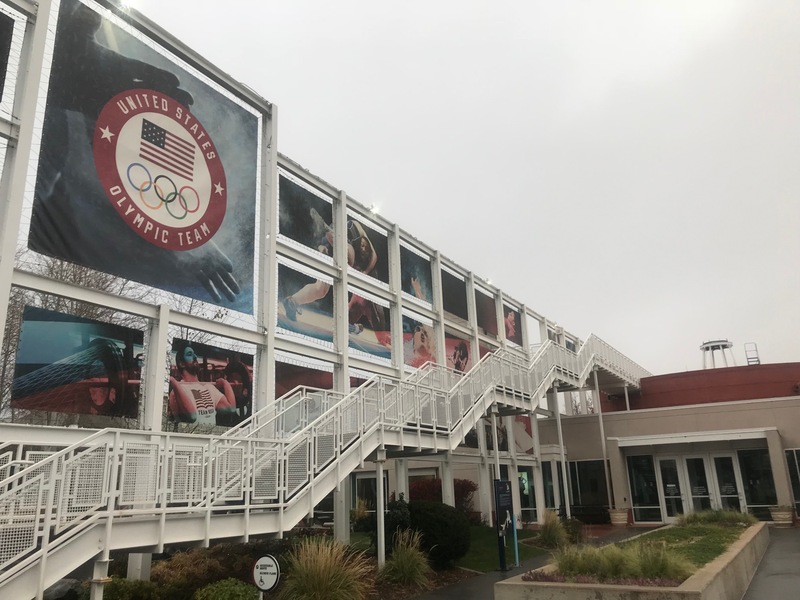 Last month I finally attended the Level II USAT coaches clinic at the Olympic Training Center in Colorado Springs. This is something that I put off for a while and glad I was finally able to check off this box. This was an amazing experience living on campus for nearly a full week just like the olympic athletes. I couldn’t help but be in awe training in the state of the art facility. I often thought about all of the great athletes that utilized that very facility and the campus living quarters we stayed in. Oh if the walls could talk. 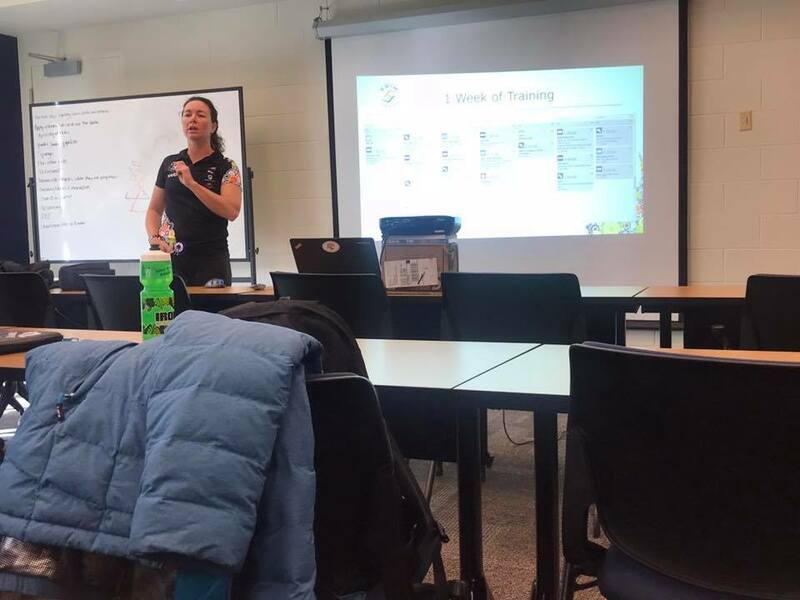 Having focused mostly on long course endurance coaching, I was excited that the primary focus of the clinic was primarily on ITU training and racing and coaching youths and juniors. With long course training we’re doing a great deal of aerobic development whereas threshold and even anaerobic development is higher in ITU training. ITU is much bigger overseas and I’ve only previously worked with younger short course athletes through coaching the Boston University Triathlon team. I wanted to broaden my perspective. We’d like to begin laying the foundations for the EventHorizon youth and juniors training and coaching platform, which we hope to have solidly worked out in 2018. This will allow us a chance to even be able to potentially bring forth an olympic athlete. 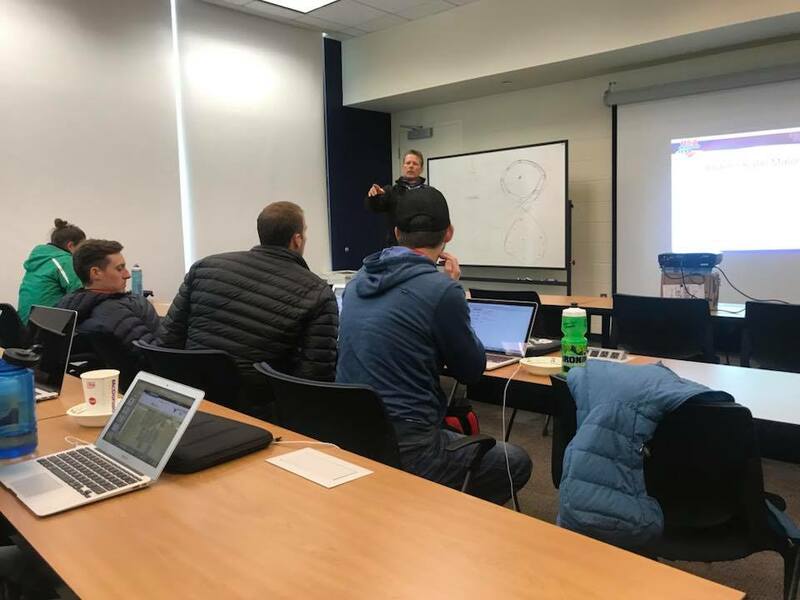 At any case, I found myself once again discussing training science among some of the best coaches in the world and getting their perspectives on just about every topic from nutrition, fueling training, racing and planning. This is what EventHorizon is all about, constantly learning the best science available and improving and refining techniques. I thought I’d share just a small sample of the lessons I learned from the Olympic Training Center. How amazing that I somehow found myself in a coaching clinic with Sara McLarty. Many of you know who she is, for those who do not, Sara is a former pro triathlete and coach. She now heads up Swim Like a Pro (SLAP) in Florida. I couldn’t help but to be starstruck of one of the greatest swimming minds in triathlon. I probably owe half of what I’ve come to know and teach about swimming over the last decade from concepts that I’ve taken from Sara’s treasure trove of online thought leadership. 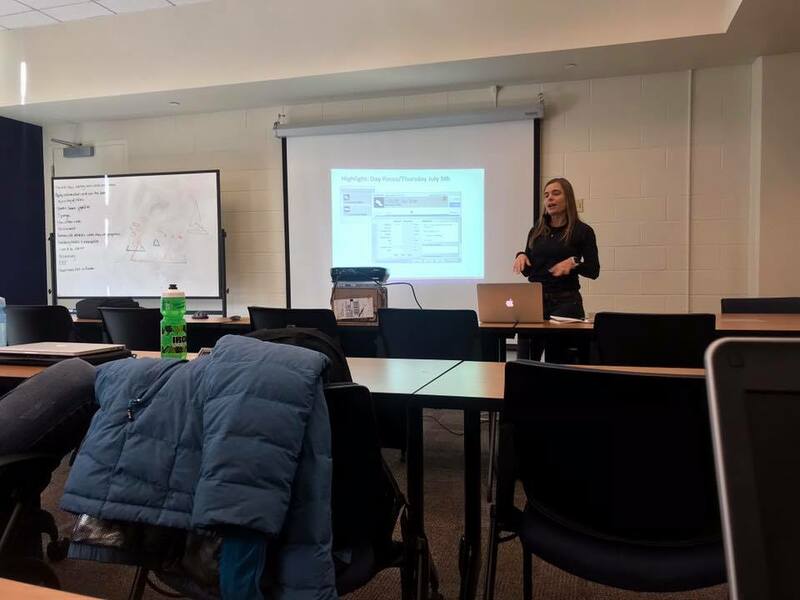 I talked with Sara about swimming turnover, straight arm vs. bent arm recovery and coaching for increased open water swimming speed. The conversation really helped me come back and add to and refine our swim coaching approaches. Ian Murry’s cycling skills presentation for ITU draft legal training and racing demonstrated why this requires a unique and specialized form of coaching. This is especially the case with the often highly technical courses involved. This was a great demonstration on how the cycling intensity zone training differs from that of long course athletes. How can you utilize an average parking lot to work on ITU cycling skills? Well, Ian turned on a light bulb in my head on some new technical training strategies. Bobby McGee is a 6x Olympic running coach and the mind behind the successes of many olympic runners and professional triathletes. I took away many new concepts and techniques on plyometrics and his six steps to running performance enhancement. 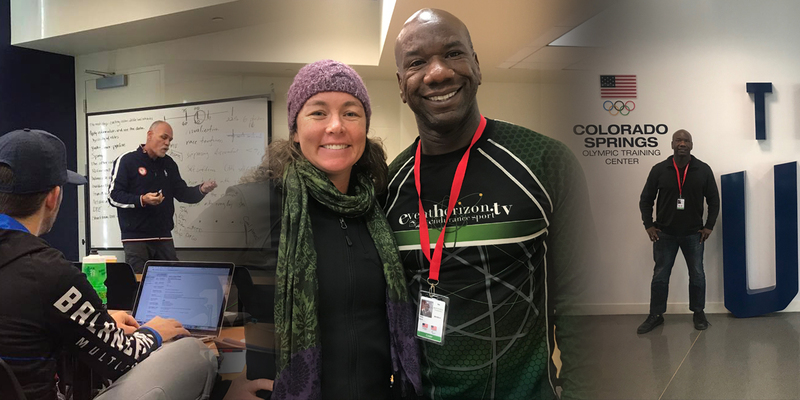 It was great to learn from Bobby and we’ve already begun thinking about how to incorporate these techniques into EventHorizon running and coaching training solutions. We were all given hypothetical athlete scenarios and were given a couple days to develop a high level plan and training cycles for that scenario. Then we had to present it to the entire group and have it critiqued. Presentation to some of the best coaches in the world? No pressure at all I thought. 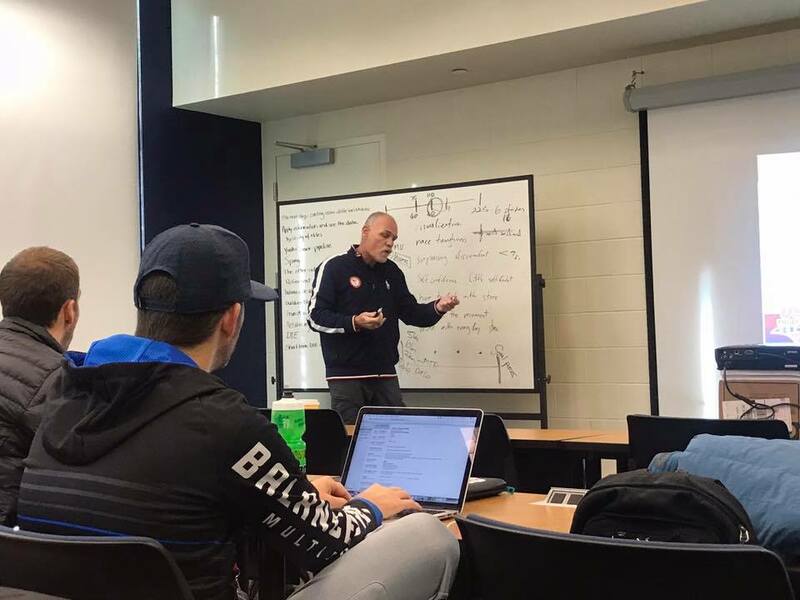 It’s incredibly useful that coaches hear the perspectives of other coaches on athlete scenarios to understand how solve problems with potentially different solutions and thereby improve our own approaches. It was a great experience. I came away with some great contacts and great ideas for new strategies. Stay tuned in 2018. Happy New Year.